Syllabus of the Online Course (Subject): India-Chile Preferential Trade Agreement (PTA). 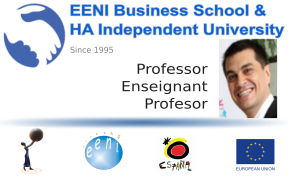 Description of the Online Course: India-Chile Preferential Trade Agreement (PTA). The India-Chile Preferential Trade Agreement came into force in 2007. A Framework Agreement to promote economic cooperation and foreign trade between India and Chile was signed on 2005. 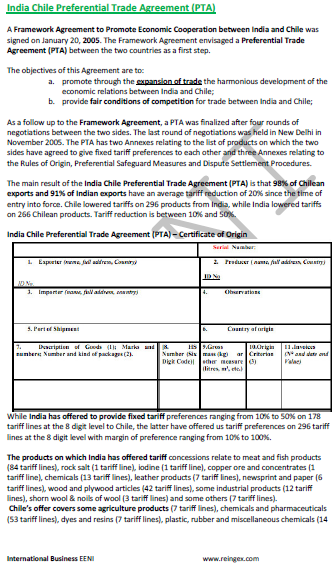 The main result of the India-Chile Preferential Trade Agreement is that 98% of the Chilean exports and 91% of the Indian exports have an average tariff reduction (20%) since the entry into force of the agreement. Tariff Reduction is between 10% and 50%. Economic Area of Hindu Civilisation.